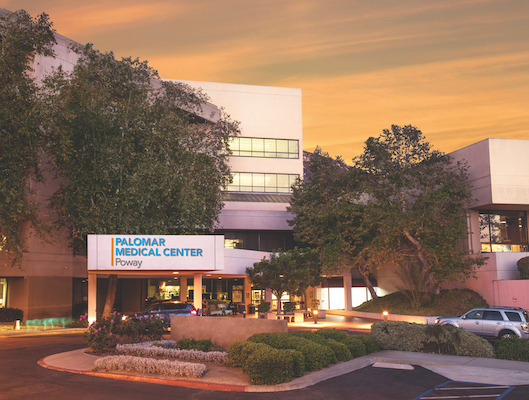 At the beginning of March, patients began receiving cancer treatment inside the newly opened Outpatient Center Escondido on the campus of Palomar Medical Center Escondido. 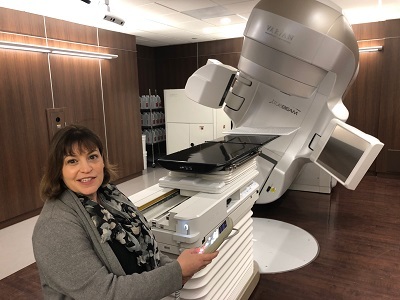 Before the opening, Radiation Oncology Services purchased all new equipment, including a $4 million TrueBeam cancer treatment system that offers the latest in technological development. 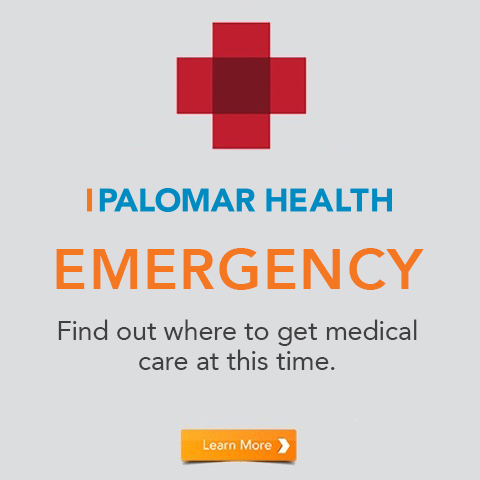 Staff has been transitioning patients from the downtown Escondido campus to Citracado Parkway throughout the month with plans to completely transition all patients by the end of the month, meaning some patients will experience both the old facility and equipment and the new. Here’s what patients can expect at the new location using the new machine that Palomar Health Chief Physicist Tammy Unikewicz likens to “a miracle.” She says that is because of the machine’s ability to precisely target cancerous tumors without disturbing surrounding healthy tissue in a fraction of the time it used to take. Once a patient is diagnosed with a cancerous tumor and a radiation oncologist has prescribed radiation treatment, staff leads the patient to the CT simulator that takes precise body calculations and helps Unikewicz and staff program the TrueBeam system to deliver precise treatments. Once transferred to the treatment room, patients lie on a surfboard-like table, are positioned with exactness using lasers and a 1,000-point body scanner using cameras positioned throughout the room, and are immobilized for the procedure. 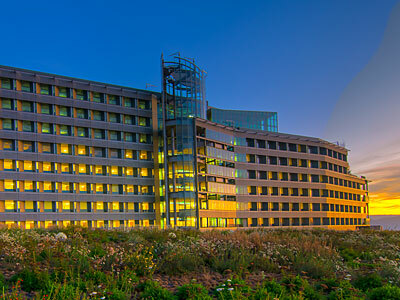 Once the technician leaves the room and closes the two-foot thick lead and steel door, the TrueBeam system rotates 360 degrees around the patient delivering radiation beams shaped to match the size and shape of the tumor utilizing 120 computer-controlled mechanical fingers. The machine is so accurate it compensates for the movement created by a patient’s breathing. One of the biggest benefits of the new machine’s technology is its ability to safely deliver higher doses of radiation in narrowly targeted areas while leaving surrounding healthy tissue unaffected. Higher doses kills tumors faster and more thoroughly. Another benefit is treatments that used to take up to half an hour can now be completed in a few minutes, which provides greater patient comfort and higher positional accuracy throughout treatment delivery. Radiotherapy is an effective treatment for cancer because of its ability to disrupt the DNA of fast-growing cancer cells and prevent them from replicating. If cancer cells can’t reproduce, they die and tumors shrink. Most treatments last from one day to six weeks. 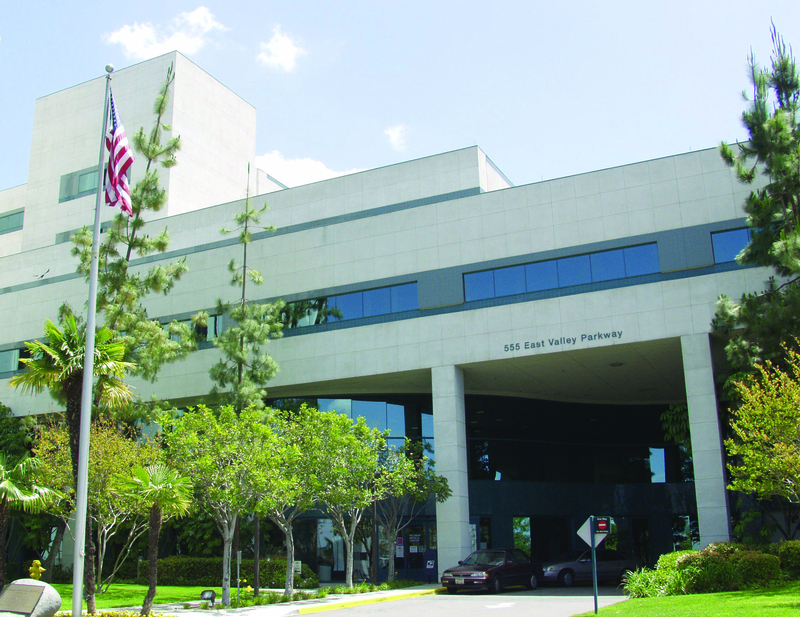 Palomar Health’s Radiation Oncology Services offers treatment for tumors of the lung, breast, prostate, abdomen, head and neck. Caption: Palomar Health Physicist Tammy Unikewicz demonstrates the “TrueBeam system” that can deliver treatment doses from 360 degrees around the patient.